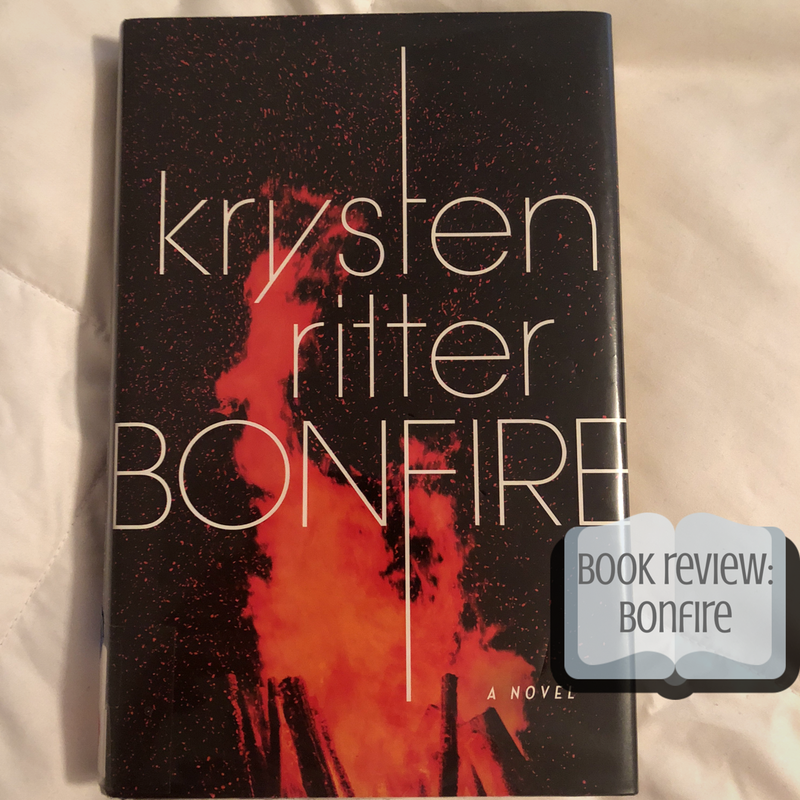 In Krysten Ritter’s Bonfire, Abby Williams returns to her small hometown of Barrens, Indiana as an environmental lawyer working on a case to bring down the town’s economic empire, Optimal Plastics, which has a case against them as people are starting to become sick within the town. Ten years ago, Abby’s once best friend Kaycee Mitchell mysteriously got sick, along with her close friends and eventually Kaycee went missing without a trace. Some say she moved away, destined to leave the tiny town, but Abby suspects more foul play was involved. The more information Abby digs up on Optimal, the more secrets come to the surface about Kaycee’s disappearance as well as how this seemingly small town has some dark roots. Without spoiling, the breaking point of this story absolutely caught me off guard, but when it comes to a ‘Who-Done-It’ murder/mystery, you might want to look elsewhere. Once you discover about the dark roots of ‘the Game’, it becomes a reality that this kind of thing might be happening in your own hometown, if there were a giant enterprise that keeps the town’s economic afloat and buys everyone’s secrecy so they can get away with this sort of crude/demented behavior. Throughout the story, I felt myself becoming annoyed with the protagonist, Abby. Understanding that she has a job to do, I didn’t feel myself feeling sympathetic towards her desire to find out what happened to Kaycee. We learn that at one point, the two were friends, but the older they got, the more humiliation Kaycee put Abby through (i.e., killing her dog because she was jealous of the attention being shifted away from her). Prior to picking up this book, I wasn’t aware that Ritter was a famous TV actress (you might remember her in Breaking Bad or more famously in Netflix’s series Marvel’s Jessica Jones.) I thought it was pretty cool to see how talented Ritter was because this wasn’t a terrible read. Sometimes, actors making the switch to authors is apparent in their writing style, but Ritter had a way of peaking my interest. The storyline was simple enough to follow, but there were parts of me that felt a bit lost. Even though I praise Ritter’s style, it was hard to capture my full and uninterrupted attention. I felt that there were parts I had to re-read for clarity and it didn’t exactly leave me wanting more. By no means is this a bad read, I definitely would recommend it if you’re looking to boost your Reading Challenge, but it isn’t a life-changing story. It didn’t leave me shocked, but it wasn’t as if I felt I wasted my time reading it. Consider it middle of the road. This entry was posted in book reviews and tagged #blogger, bbloggers, beauty blog, blog chat, blogger girl, blogger life, blogger lovin, blogger style, bloggers, blogging, blogging gals, blogging tips, bonfire, book haul, bookgram, books, books and tea, bookshelfie, bookstagram, booktography, fashion blog, fbloggers, good reads, instabooks, krysten ritter, life with sarah, lifestyle blog, murder, mystery, on the blog, reading challenge, reading corner, sarah lokker, sarahhlokk, savvy blogging, story time, yalit. Bookmark the permalink.